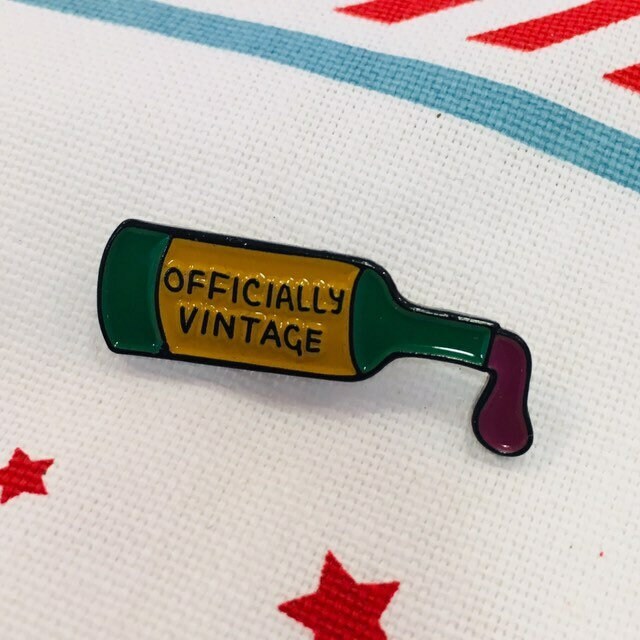 Officially vintage is a nice way of calling someone bloody old. 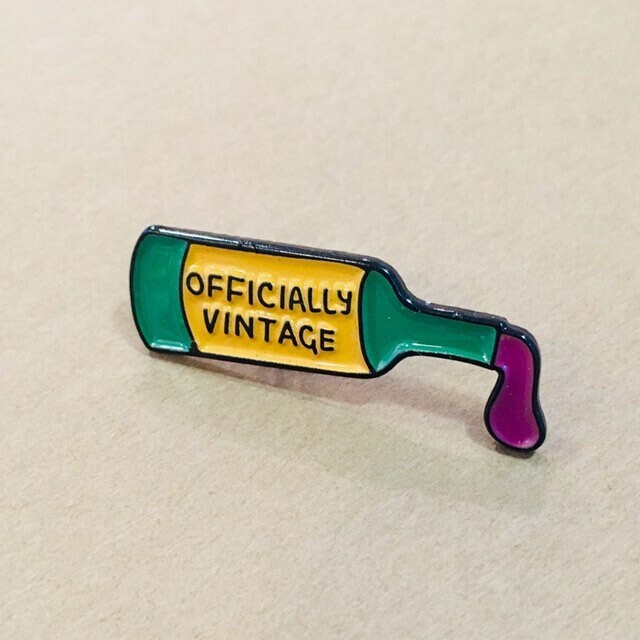 It's a bit more dignified than "codger" or "relic". 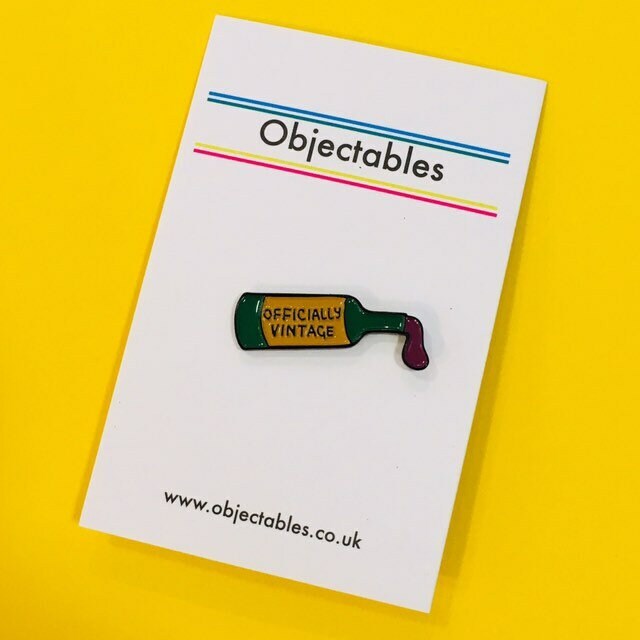 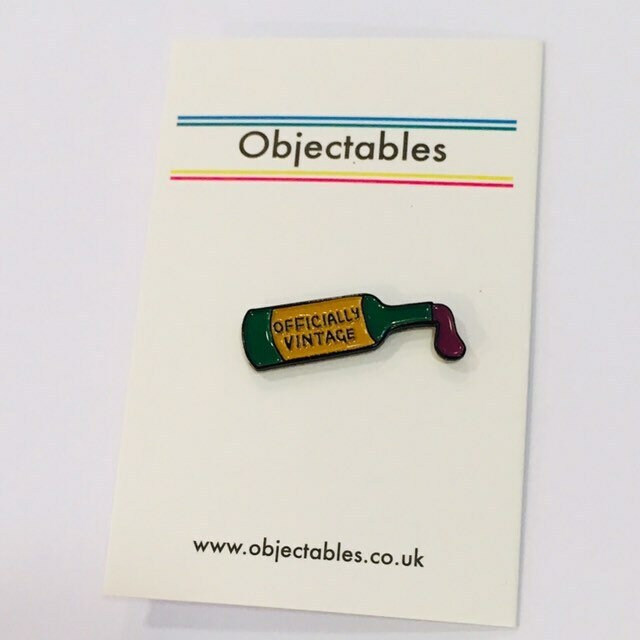 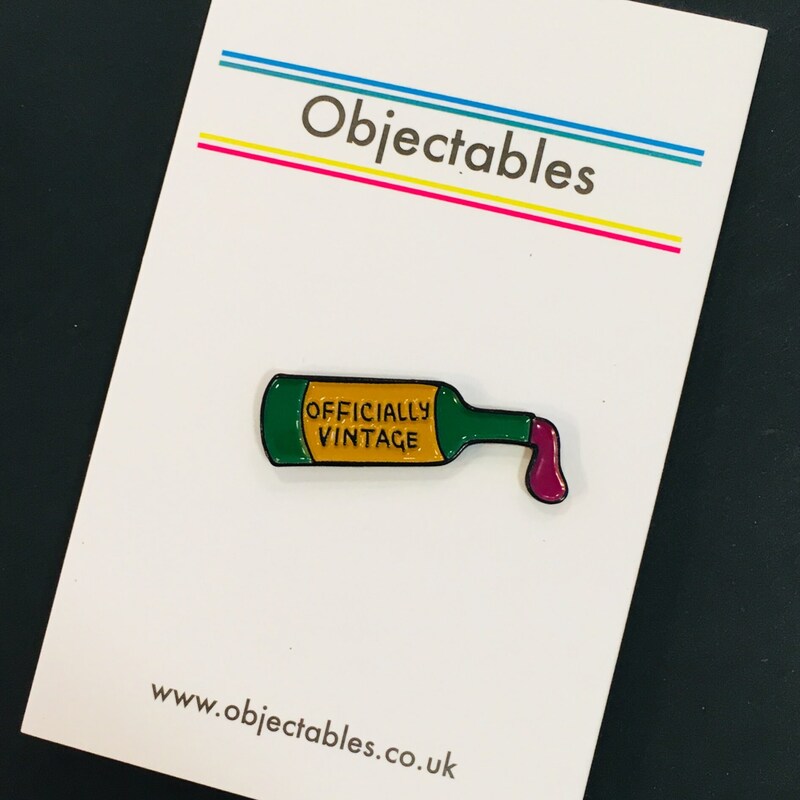 This soft enamel pin can be worn with pride by any old codger.